How much student loan debt do you think the average college student racks up by the time they cross the graduation stage? $5,000–10,000? Think again. According to the Wall Street Journal, the average college graduate’s student loan debt is at a whopping $37,172. (1) And that’s just the average! The most recent data from the Federal Reserve Bank of New York shows the overall student loan debt in America hovering just over $1.3 trillion. (2) Trillion! At this rate, college graduates will be lucky to have their student loans paid off before their kids start college! As a parent, you’re probably thinking there has to be another way. Well, there is! You can start saving for college by opening a college fund. 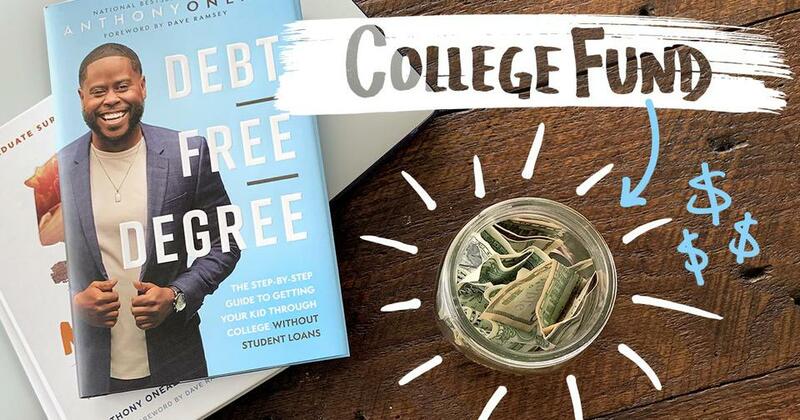 It’s not easy, but with focused dedication, hard work, and careful planning, it’s possible to save enough so your child can go through college debt-free! Saving for college is Baby Step 5, and we generally advise parents to start saving for college as soon as they can. But a lot of times it’s a bit more complicated than that. Starting a college fund is a great goal, but it’s not the only goal. You likely have other financial priorities like paying off your mortgage, your credit card bill, or your own student loan debt. You don’t want to neglect your own money goals, especially when it comes to retirement savings. There are other ways to pay for college, like through grants or scholarships. Bottom line, you need to take care of your future first. An ESA allows you to save $2,000 (after tax) per year, per child. Plus, it grows tax-free! If you start when your child is born and save $2,000 a year for 18 years, you would only invest $36,000. While the rate of growth will vary based on the investments in the account, you’ll likely earn a much higher rate of return with an ESA than you would in a regular savings account—and you won’t have to pay taxes when you withdraw the money to pay for education expenses. If you want to save more for your children’s college education, or if you don’t meet the income limits for an ESA, then a 529 Plan could be a better option. Look for a 529 Plan that allows you to choose the funds you invest in through the account. Dave warns against using a 529 Plan that would freeze your options or automatically change your investments based on the age of your child. 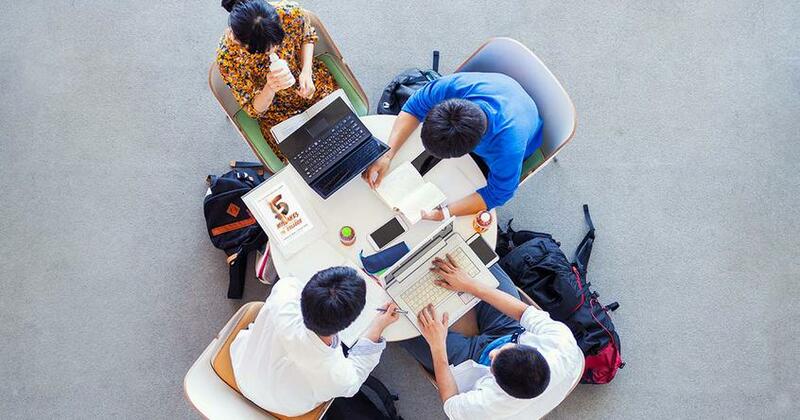 How to Pay for College Without Student Loans The 11 Best and Worst Things Said About the Cost of College 10 Popular Collectibles That Never Paid Off College Is Expensive. What's Your Plan? The right 529 Plan will also give you the option to change the beneficiary to another family member. So if your firstborn decides not to go the college route, you can still use the funds you saved for the next kid in line. Restrictions may apply if you choose to transfer your 529 Plan funds to another child. An UTMA/UGMA differs from ESAs and 529 Plans in how they aren’t designed just for education savings. The account is in the child’s name but is controlled by a custodian (usually a parent or grandparent). This person manages the account until the child reaches age 21. At age 21 (age 18 for the UGMA), control of the account transfers to the child to use any way they choose. You as the parents don’t have to be the only source for college savings. Get your kids involved in the effort. Even though your child is a full-time student, there’s no reason they can’t start building up their own savings fund. At the very least, doing this will help establish healthy money habits they’ll carry into the future. It’s free money for college that you don’t have to worry about paying back. If your child excels in athletics, academics or extracurricular activities, they should try to get rewarded for it. Encourage your child to apply for any scholarship they’re eligible for—even the small ones add up fast! Advanced Placement (AP) classes give high school students the opportunity to earn college credits while they’re still in high school. Every AP class taken in high school is one less class you’ll need to pay for in college. Advise your child to talk to their academic counselor for more information. Whether they take on a full-time gig during the summer or a part-time job during the school year, your child will be able to save money for college and gain work experience to put on their resume. If your student is serious about building up their college savings, they’ll need a safe place to keep all that money. Most banks offer accounts specifically for students, which usually means waived monthly maintenance fees and no minimum balance requirements. If your child is under 18, you’ll need to be the joint account holder. If your child gets birthday money or an allowance, suggest they put it right into their savings account so they aren’t tempted to spend it. It’s never too early to start thinking about a college savings plan. Whether your child is a teenager or toddler, the best time to start a college fund is now. Making the right plan for your children’s future starts with knowing all of your options. Connect for FREE today with a qualified SmartVestor Pro and take the first step. If you're feeling overwhelmed by the need to save for your kid's college education, you're not alone. A focused plan using the best savings options is the best way to meet your college savings goals.